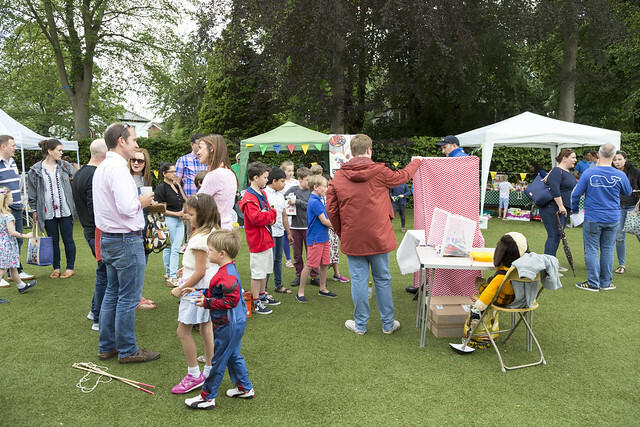 The carnival certainly came to town at our recent annual summer fete, radiating a colourful fiesta vibe. 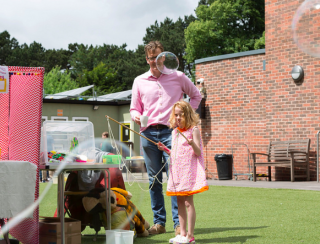 Opening to sunshine and music, many joined in the fun and festivities, including students, family and the local community. Students lead the entertainment with a fantastic programme of performances by the dance team, drama group, school choir and an array of instrumentalists. Musicians played violins, recorders, cellos and trumpets, either as an ensemble or as individual musicians delivering solo performances. The enthusiastic audience were treated to an impressive showcase of talent and dedication by all the children involved. Another highlight of the day was the carnival mask competition. The entries were displayed throughout the day and created a vibrant visual spectacle of feathers and sparkles. The masks were judged by Miss Bettany and guest judge Miss Keogh who had some difficult prize-winner choices to make as all of the entries were fabulous. 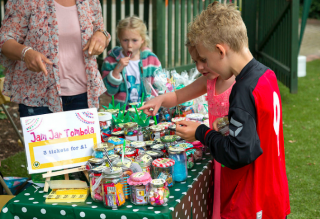 All the wonderful fete contributions made by the Firs community were fantastic and made the stalls a big hit, including the jam jar tombola which sold out very quickly, the ever popular bottle tombola, toys and second-hand books stall, summer hampers, popcorn, fruit skewers and delicious cakes. All were enjoyed by the carnival goers. 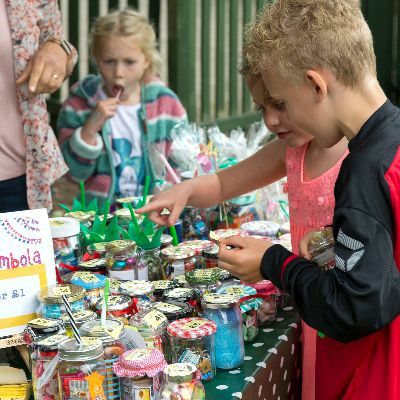 On the day, the children enjoyed face-painting and glitter tattoos, fun games and a wonderful choice of craft activities – making colourful fiesta skirts with a matching feathered headdress and music shakers to complete the look. The Gourmet Sausage returned again this year to feed the hungry crowd and the occasional rain-shower didn’t dampen the carnival spirit. After a very successful day we raised over £2000. Thank you to Rachel Kay for her hard work in putting together another wonderful event, to the FPG helpers and all of the students, parents and teachers for their help and contributions.